Speaking at a NATO defense minister meeting in Brussels on Friday, US Secretary of Defense James Mattis claimed that a US withdrawal from Syria would depend on the success of UN-brokered Geneva peace talks. "In Syria, leaving the field before the special envoy Staffan de Mistura achieves success in advancing the Geneva political process we all signed for under the UN security council resolution would be a strategic blunder, undercutting our diplomats and giving the terrorists the opportunity to recover," he said, according to a PressTV report. Mattis also warned that a US withdrawal from Syria would create a "vacuum" that President Bashar Assad and his allies would "take advantage of" — a remark considered by many to be an ill-considered attempt at a euphemism for Damascus restoring order in its own country. "Our military campaign in Syria continues," Mattis said. 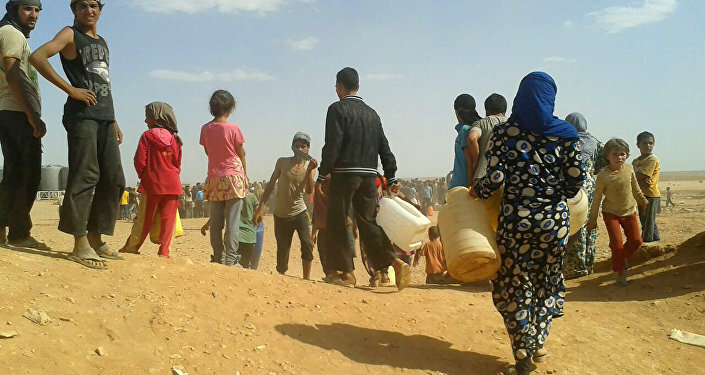 "As the operations ultimately draw to a close, we must avoid leaving a vacuum in Syria that can be exploited by the Assad regime or its supporters." The US and NATO has a history of "creating vacuum," according to some, particularly as the toppling of Iraq's Saddam Hussein, followed by a poorly-executed withdrawal from the country led to the creation of Daesh. The Western invasion of Libya, which culminated in the assassination of Muammar Gaddafi, also left a once-prosperous nation in a shambles and lacking any effective central government. What many have noted about the Mattis comments regarding the current situation in Syria, however, is that Assad remains in power and is likely to stay in power. Mattis's speech is additionally notable when compared to a statement by Russian Defense Ministry spokesman Major General Igor Konashenkov. "As for the current situation in the Syrian Arab Republic, we recommend the Pentagon chief examine the map showing the situation in this country. All remaining pockets of resistance of Daesh terrorists in Syria are located only in areas controlled by the United States," Konashenkov said Saturday, as earlier reported by Sputnik. 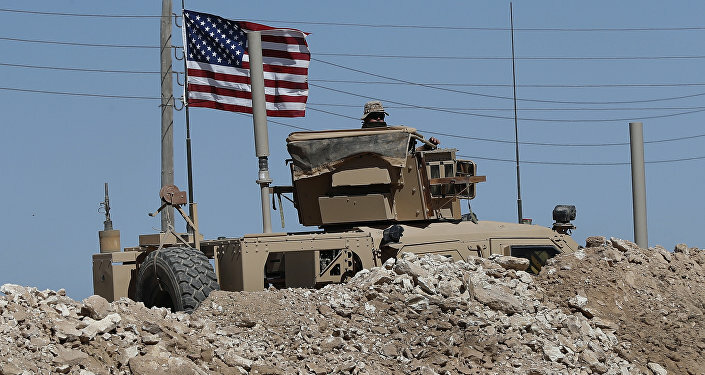 US President Donald Trump has since April been making comments regarding an "immediate" US withdrawal from Syria, reportedly ordering the Pentagon to wrap up military operations in Syria and prepare to withdraw. Trump subsequently dropped his demand for immediate withdrawal after Pentagon advisers convinced him that more time is required, cited by the New York Times. Currently, the US has only withdrawn support to areas in northwestern Syria where Turkish forces have established a de-escalation zone, as per the Astana agreement between Russia, Iran and Turkey. "Two-hundred million dollars of stabilization assistance for Syria is currently under review at the request of the President," according to an unnamed US State Department official cited by CNN in May. "Distinct from that amount, US assistance for programs in northwest Syria are being freed up to provide potential increased support for priorities in northeast Syria, as will be determined by the outcome of the ongoing assistance review, including the [anti-Daesh] campaign and stabilization efforts," according to CNN. According to Liveuamap.com, northeastern Syria is currently under the control of US-backed Syrian Kurds. There is also a pocket of Daesh-controlled territory near the Iraqi border.